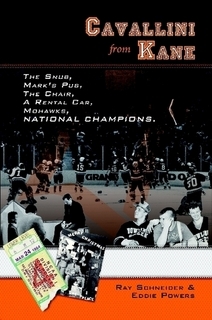 In just a few days the puck will drop on the Falcons’ 50th season of NCAA hockey. Bowling Green will hope their golden anniversary comes with some hardware that has thus far eluded them, and they have been picked second and third in the preseason polls. The far-too-early preseason USCHO.com poll has the Falcons receiving votes, and I’m expecting them to be listed in the top-20 more weeks than not. As we countdown the days to the season opener Saturday at Mercyhurst, let’s take a look at a few storylines and breakdown this year’s squad. 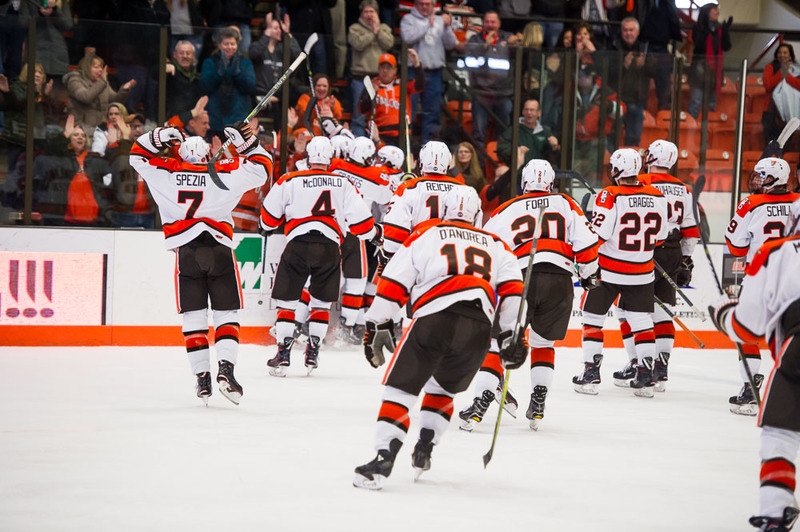 Looking at the Falcons’ schedule from top-to-bottom, an argument could be made that it will be one of the stronger nonconference slates that Bowling Green has compiled in the WCHA era. They open the season on 10/6/18 against Mercyhurst. The Lakers are coming off a season where they won 21 games and won the regular season Atlantic Hockey crown. They’ll then head to Western Michigan on 10/9/18 to face their MAC brethren. The Broncos were picked to finish fourth in the NCHC and are ranked 19th in the USCHO preseason poll. Bowling Green and Western Michigan will complete their home-and-home on 10/23/18. The Falcons will play a home-and-home series with the Robert Morris Colonials on 10/12 and 10/14, with the 14th being the Falcons’ home opener. RMU is looking to rebound from a 18-20-3 season that saw them in the bottom half of Atlantic Hockey. A marquee matchup will await Bowling Green next, as they face preseason #3 Ohio State in a home-and-home series. The Buckeyes are coming off a season where they made it all the way to the Frozen Four, and are picked to win the Big Ten. The nonconference slate finishes with exhibition games against the USNDTP program on 11/21/18 and Windsor on 12/30/18. Looking at this schedule it should be encouraging that it could boost the Falcons’ strength of schedule and thus their RPI numbers (which are directly related to the Pairwise rankings to determine NCAA bids). But, this reincarnation of the WCHA has struggled with teams sitting in the basement of the Pairwise rankings. Getting wins against Western and Ohio State could be key for the Falcons’ chances in February as we start Pairwise watching. The Falcons graduated four seniors last year. Mitch McLain, Tyler Spezia, Brett D’Andrea, and Jakob Reichert wrapped up their Bowling Green careers. All four were forwards, and McLain, Spezia, and D’Andrea were in the top-10 of scoring on the team. However, the Falcons still return recent Vegas draft pick Brandon Kruse (8-25-33), Stephen Baylis (9-22-31), Max Johnson (13-17-30), and Cam Wright (9-16-25). Bowling Green’s now-sophomores were a key part of the Falcons’ offense last season, and they’ll probably be leaned on to continue to improve and produce. One of the most intriguing players for me is Stephen Baylis. The senior has shown stretches where he’s the best player on the ice and also inconsistency from game-to-game. It’ll be interesting to see how Baylis is able to pad his resume for NHL teams that will come knocking in the spring. The Falcons incoming freshman class of forwards includes Alex Barber, Taylor Schneider, Evan Dougherty, and Trevor St-Jean. There’s one word to describe the Falcons on the blue line. LOADED. Bowling Green returns All-American Alec Rauhauser who will be anchoring the back end. He’s joined by Connor McDonald (4-6-10, +12), Nashville draft pick Adam Smith, and Chris Pohlkamp who was named to the All-WCHA Second Team by the WCHA media. The Falcons’ transition offense thrives on their ability to make good first passes up the ice to force odd-man rushes and pressure the opposing teams defense. The freshman additions of Will Cullen and Tim Theocharidis will provide even more offensive ability for Ty Eigner’s group in both the transition game and a power play that has struggled in recent years to produce consistently. This year’s NCAA rules update allows teams to dress 19 skaters (instead of the usual 18). That extra skater might be on the defensive side more nights than not. There’s just so much talent available for Bowling Green that there might be nights where players who were regular contributors on the back end in prior years will be watching instead of dressed for games. Both netminders who saw time last year return for the Falcons. Junior Ryan Bednard, a Florida draft pick, and sophomore Eric Dop return consistency to the crease for Bowling Green. The two split duties for most of the season, before Chris Bergeron went with Ryan Bednard for the playoff run. Bednard went 15-8-4 with a 2.24 GAA and .916 SV%. Dop also had a successful season with a 8-4-2, 2.52 GAA, and .901 SV% line. Bednard’s career 2.33 GAA places him second in the Falcons’ all-time list, while his .910 save percentage is good enough for third all time. It’ll be interesting to see how Bergeron handles the goaltending going forward. Bednard seems to be the number one based off his play from the end of last season, but we might see another iteration of the 1A and 1B system until one player takes the spot. This year’s roster features six players who hail from the great state of Ohio. The state is improving as a pool for talented young hockey players. Three Falcons have been drafted on this year’s squad (Smith, Nashville; Kruse, Vegas; Bednard; Florida). This year marks Head Coach Chris Bergeron’s tenth season for Bowling Green. He has a career record of 146-143-39 (.506). 14 or more wins this season would place him second all-time behind Jerry York (342-248-31) and ahead of Ron Mason (160-63-6).